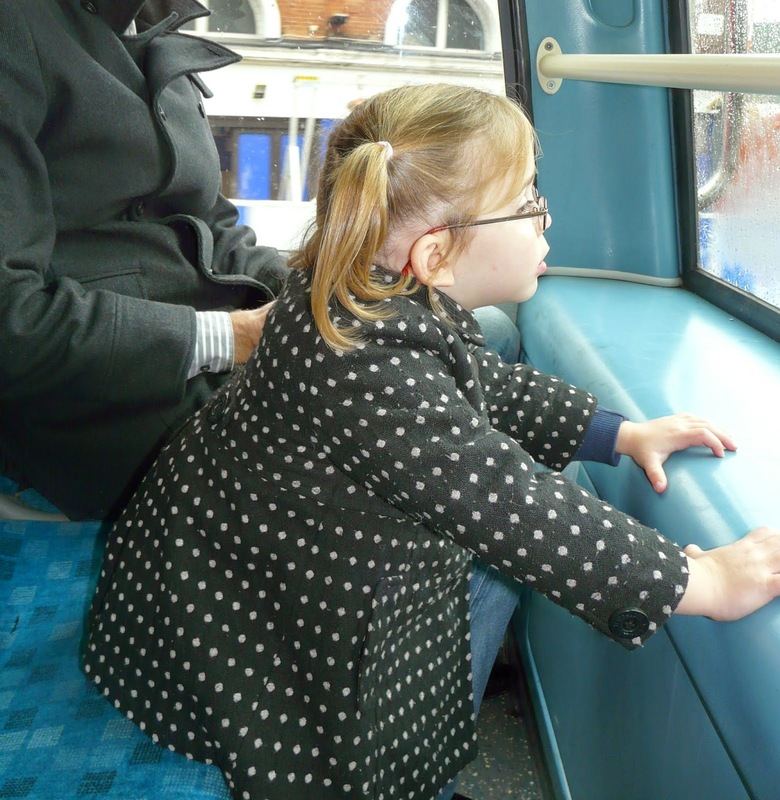 As a birthday treat, we decided to take our three year old niece into London for a day out filled with treats and adventures. And what an adventure it was…spending a day with a three year old, who at the moment only goes by the name, Cinderella and uses the word WHY in every sentence. Whats not to enjoy? It was hilarious… in total, I think she said the word WHY, approximately 1438 times…WHY, I hear you ask? Please don’t. Why is that train moving? Because it’s going somewhere. Why is that train not moving? Because it’s not going anywhere. Why is there rain on the bus? Because it’s raining. Why is there rain everywhere? Because rain gets everywhere when you’re outside. Why are we stopping? Because we’re in traffic. 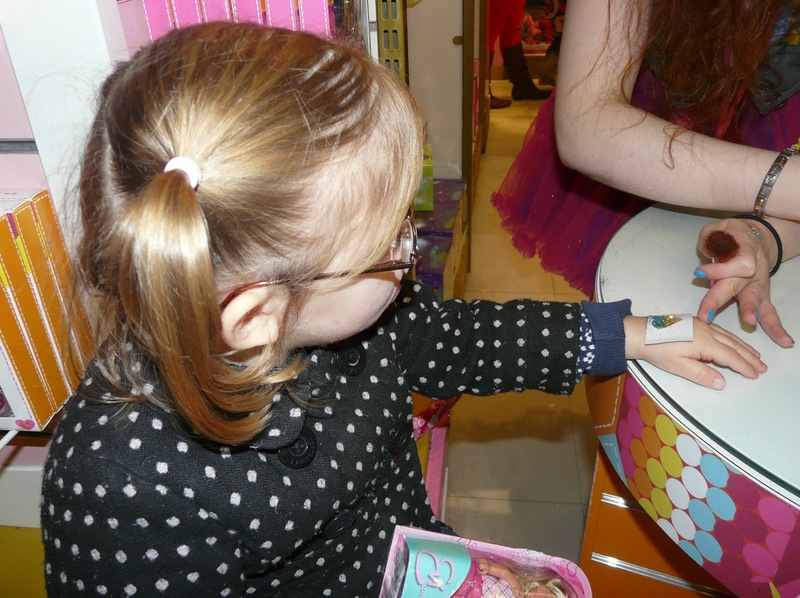 We stopped off at Hamleys to let her choose her birthday treat. 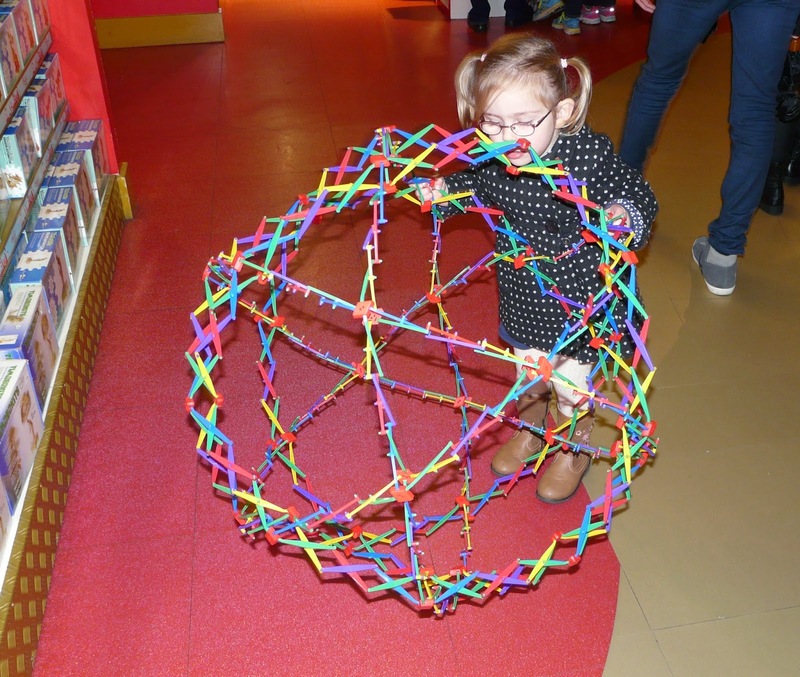 Watching a three year old scour a toy shop is exactly the same as me browsing H&M…the baskets just aren’t big enough. As she was adding stuff to her basket, the Hubster was taking it out behind her. But she was too clever. 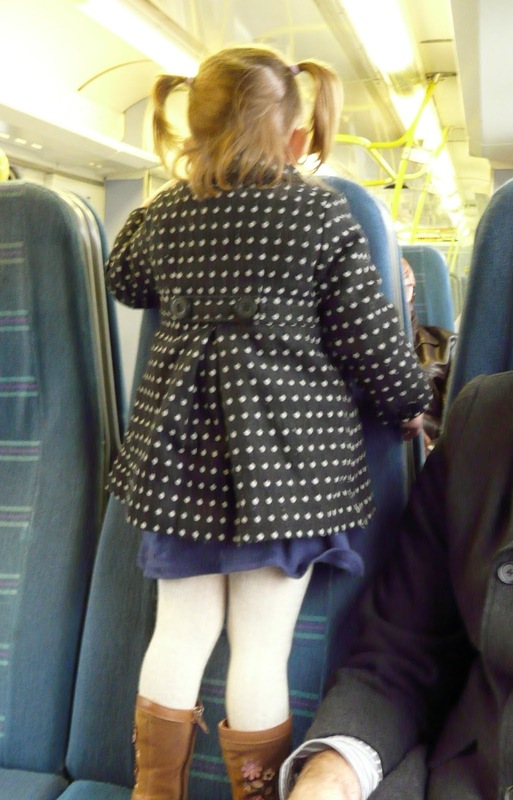 She’d soon notice something was missing… like a Minnie Mouse toy (a pokey little thing that was being sold at £30.00!) and would tootle off and get another one to replace it. Brilliant. Her and I are going to shop very well together in a few years time. Hubster managed to persuade her to settle with a baby doll and a Sleeping Beauty toy. Good work Hubster. 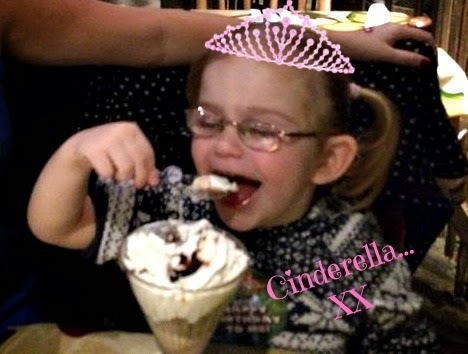 Nevertheless, Cinderella was pleased as punch with her new treats! Why can’t I have this…? Why is there lots of glitter on my hand…? Next stop, The Rain Forest Cafe for lunch and of course…few more Whys? Why is that elephant making that noise? Because that’s what sound elephants make. Why is that Gorilla making that noise? Because that’s the sound gorillas make. Why is there thunder and lightning? Because that’s what happens in a rain forest? But we’re inside? Good point. 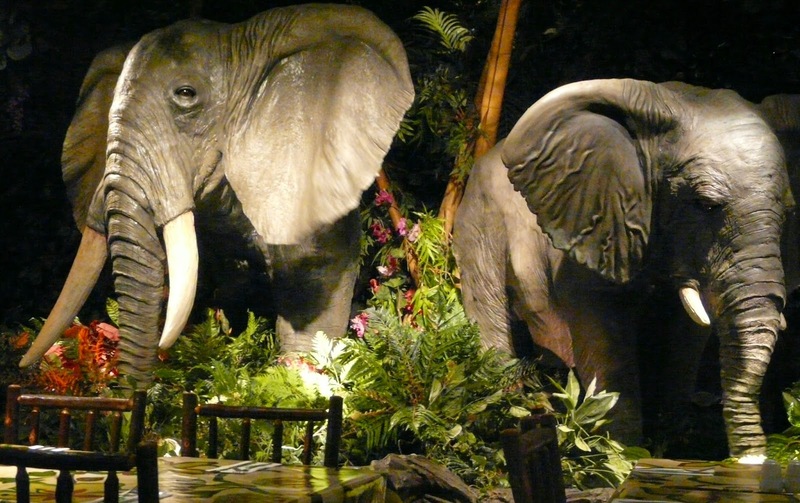 Why is that elephant making that noise…? Why is Auntie Katie so annoying…? Cue giant frog coming towards us to meet and greet kids. Apparently his name was Cha Cha the Tree Frog. Triffic. Why is that frog walking? Because he’s come out to see everyone. But frog’s don’t walk? Good point. Why is that Frog looking at me…? Some food and a few more whys later, the waitress brings out Olivia’s birthday dessert. When the waitress asks what the birthday girls name was, I said Olivia, to which the little pickle replied, “No, I’m Cinderella!”. Of course, silly me. So the whole restaurant started singing happy birthday to her. Over the years we’ve all seen this happen on many occasions…it’s one of those really bizarre situations, where normal life pauses and apparently its OK for a bunch of strangers to start uncomfortably singing- if you can call it singing- to someone they have never met and will never meet again- and no one enjoys it. And yet every restaurant continues with this awful ritual. TGI’s is the worst – even a drama queen like myself wants the world to swallow me up along with that poor blighter whose being tortuously made to stand on a chair while some loud mouthed waiter gets everyone’s attention. Candles in ice cream sundaes are enough people! Anyway, where was I…? OK so we finally got to the awkward name bit in that song, that everyone in the universe hates and no one sings in tune…”Happy Birthday to Olivia!“, she screams- “I’M CINDERELLA!” Cue awkward look between five waitresses who now feel bad that the got the child’s name wrong. Oops. You do not want to mess with a three year old princess. Things can get ugly. Why? Please don’t. Next Post What do you buy for a Lady?